Pollute the Arabian sea for stronger Hurricanes before the Monsoon season! Cyclones are very rare in this part of the world but the Arabian Sea does have some potential in giving birth to the strongest tropical cyclones of the north Indian ocean. The finest example being Cyclone Gonu, which attained a peak intensity of 920 mbar with winds of 160 mph gusting to 195 mph. Gonu is the strongest tropical cyclone on record in the Arabian Sea, and is also the strongest named cyclone in the northern Indian ocean,there are some studies that suggest that Gonu might have been the strongest cyclone of north Indian ocean since record began. A ‘brown cloud’ has formed over the Indian Ocean which is a result of human activities. This polluted cloud is the key reason for stronger cyclones in this basin of the world. The human activities include burning wood or driving a vehicle with a diesel engine. These things are causing a massive change in the atmospheric phenomena over the Arabian sea. The water temperatures of the Arabian sea have been always favorable for the formation of a cyclone but some winds known as the ‘wind shear’ that travel at different speeds and directions at different levels in the atmosphere have limited the strengthening of cyclones in the region. During the past 30 years, increase in the concentrations of the polluted particles in the Sub-continent have altered the pattern heating of the ocean. This has changed the regional wind patterns and weakened the wind shear, making conditions more favorable for intense tropical cyclone development. Want more cyclones? – Pollute everything! 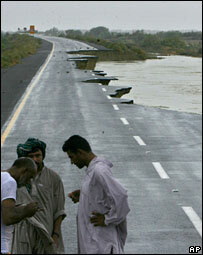 A total of 18, 457 people have died from the cyclones that have originated in the Arabian sea since 1998. 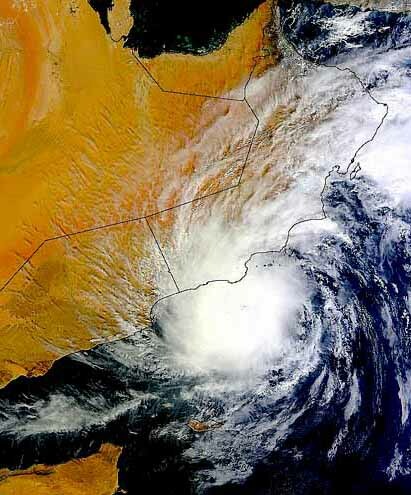 Normally, prevailing wind shear patterns prohibit cyclones in the Arabian Sea from becoming major storms but weakening of these winds have enabled the formation of stronger cyclones in recent years including storms in 2007 and 2010 that were the first recorded storms to enter the Gulf of Oman. 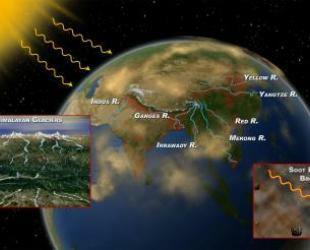 Historically, the onset of the monsoon season in summer months has produced strong winds in the lower and upper atmosphere that travel in opposite directions, also known as vertical wind shear, which makes the formation of cyclones virtually impossible in July and August as it blows off the top of the cyclones. Thus despite warm sea surface temperatures, the Arabian Sea averages two or three cyclones per year that tend to form outside the monsoon season, when the wind shear is diminished. 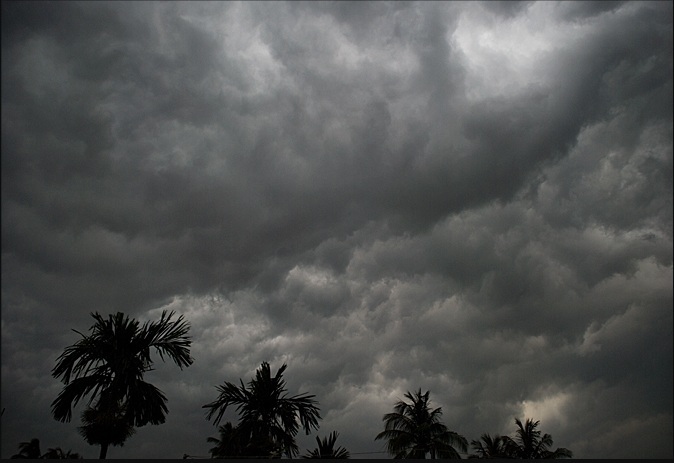 But the scientists found a trend of increasingly strong cyclones in the months immediately preceding monsoon season. Lots of rain, wind and storm surge awaits us! The one silver lining is that the atmospheric concentrations of these pollutants can be reduced drastically and quickly using available technologies. Those technologies include, diesel filters for trucks and buses, two-stroke engines running on Liquefied petroleum gas fuel and less polluting brick-kilns. But I doubt that the storm-chasers would like this idea! Really Informative article Babar Bhai. chacnes are high for such kind of cylonic activity in this year in arabian sea..
That is the changing trend… ARB storms are moving towards gulf states more often, since the 90s there has been a change in the activity of this basin..
babar bai is cyclone ki waja se karachi me rain expected ha ya nai???? how many days left start tropical strom season,before monsoon babar bhai .